Android is the most popular OS in the world. There are millions of devices accessing tens of thousands of applications. It is many people's entry point into the world of technology. The Android: Programming for Developers course will take you on a journey to become an efficient Android programmer by thoroughly understanding the key concepts of Android programming and develop market-ready applications. 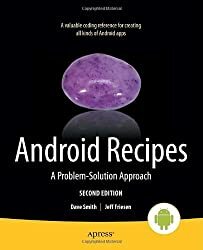 The course begins with helping you create Android applications from scratch. The first module, Android Programming for Beginners, introduces you to all the fundamental concepts of programming in an Android context, from the Java basics to working with the Android API. At the completion of this module, you’ll be ready to start building your own custom applications in Android and Java. After getting familiar with the basic programming concepts, the second module, Asynchronous Android Programming, shows you how to make your applications more reliable. This will be achieved using high-level and advanced asynchronous techniques and concepts. Through this module, you will learn to construct scalable and performant applications to take advantage of multi-thread asynchronous techniques. With a good grasp on the basics, you move on the final module, Mastering Android Game Development. This progressive module will help you learn to use animations and particle systems to provide a rich experience. By the end of the course, you will create beautiful, responsive, and reusable UIs by taking advantage of the Android SDK. John Horton is a coding and gaming enthusiast based in the UK. He has a passion for writing apps, games, books, and blog articles about programming, especially for beginners. He is the founder of Game Code School, http://www.gamecodeschool.com, which is dedicated to helping complete beginners get started coding using the language and platform that is best for them. John sincerely believes that anyone can learn to code and that everybody has a game or an app inside of them, and that they just need to do enough work to bring it out. Helder Vasconcelos is a Portuguese Software Engineer based on Dublin, Ireland, with more than 10 years of experience designing and developing real-time/multithreaded Java and C++ applications for the telecommunications and aviation industries. Apart from his day-to-day job, he occupies his spare time building native Android applications for Bearstouch Software and other third-party companies. He graduated with a degree in Electronic and Telecommunications Engineering from the University of Aveiro in January 2006. During his career, he has worked as a Software Engineer for companies such as PT Inovação (Portugal), Airtel ATN (Dublin, Ireland) and Axway (Dublin, Ireland). You can find Hélder on LinkedIn at (https://ie.linkedin.com/in/heldervasc/en) or on his website at (http://hvasconcelos.github.io). Raul Portales is a software engineer who works as a contract consultant with Platty Soft. He cofounded the game studio The Pill Tree, which ran for a year and produced several titles that were featured by Google Play, including Chalk Ball and SpaceCat.He has been a Google Developer Expert for Android since the start of 2015, and he loves public speaking. He has presented at several DroidCons and Game Developers conferences, talking about how to survive as an indie game developer.At the moment, Raul lives in Dublin and you can easily find him collaborating with the local community on different meetups, especially the ones organized by GDG Dublin.